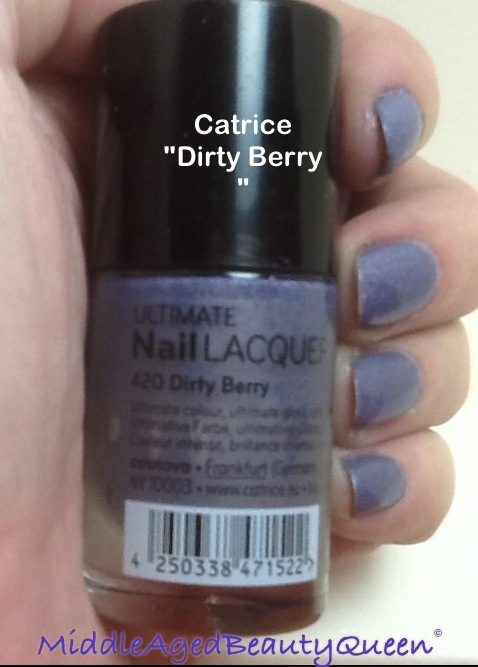 Catrice Dirty Berry is right up my alley as far as color and texture go. 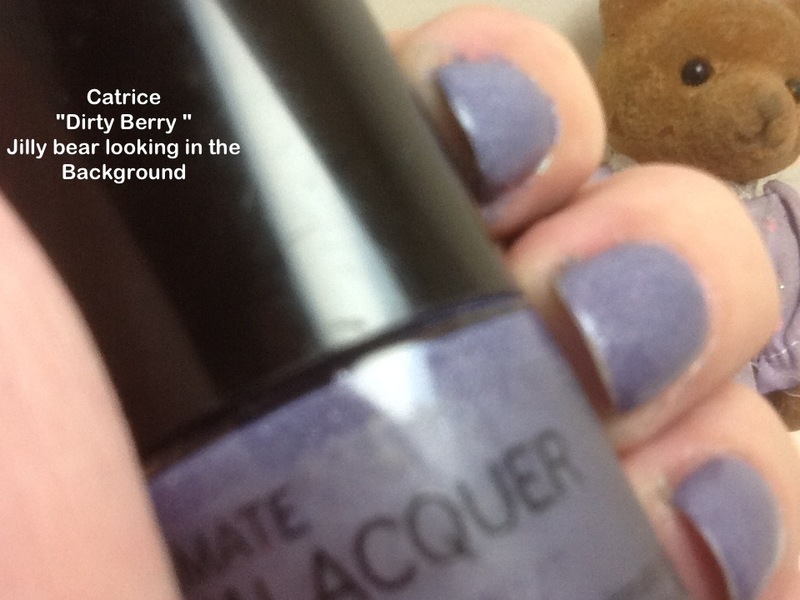 I love this polish and I don’t know how it is on my un-tried list. This is a mixture of blue and purple, its not exactly blue and not exactly purple either. It’s like that favorite pair of jeans you wear around the house but you change out of if you’re going to the grocery store. To be honest with you, I think it got pushed to the back and forgot about. I think it is so pretty, you better believe I’ll be wearing this one a lot this spring/summer. One of the things I like about this polish is it still has the smaller brush than the newer Catrice, with their short , fat brushes. huh?. I know I usually love the short, fat brushes but not this time, I like this brush. 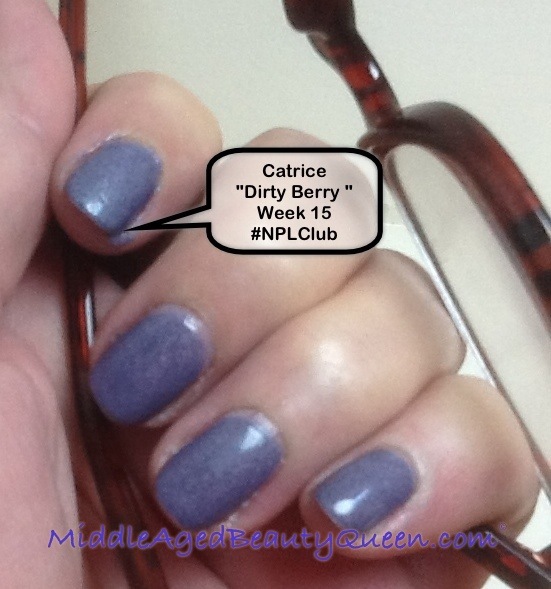 It picked up just the right amount of polish and there was no flooding of the cuticles. With “Steel Her Heart” and “How I Matt Your Mother you have to be careful because those short, fat little brushes pick up way too much polish and just when you think all is well, dang there goes a drop and next thing you know, you’ve got flooded cuticles. Another thing I learned the hard way! As I was cleaning out a cupboard this week I found an old caboodle, inside the old caboodle was full of model paint and this small bear. This small bear is named Jilly Bear. That was the spelling and everything on the package so of course I had to have her and now I have her with me always. I haven’t shown Jilly yet but I told Drew about it. He wants the caboodle, he was more excited about that than anything. He said he remembered the girls always had their caboodles for make up and nail polish and he never had one so one year for his Christmas money he bought this one and kept his model paint in it. Who knew? I figured he would be happy about the model paint! ( I was hoping to use the caboodle for myself ). 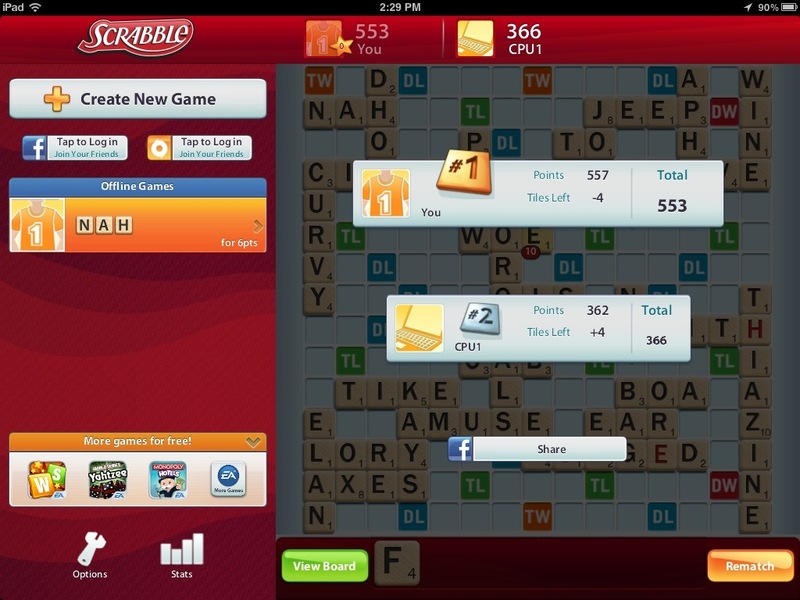 Just had to show my 553 in Scrabble! Let’s see you beat that score Bryan?